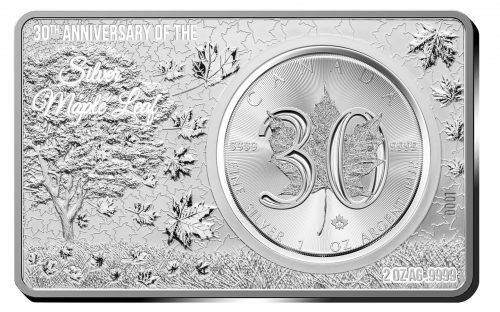 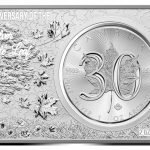 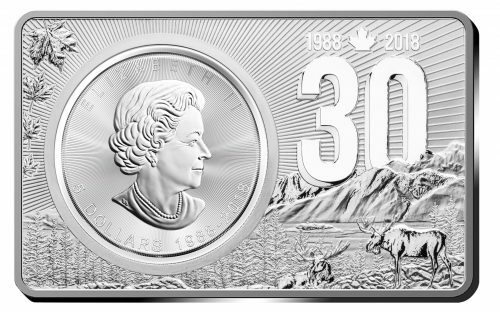 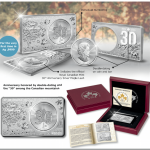 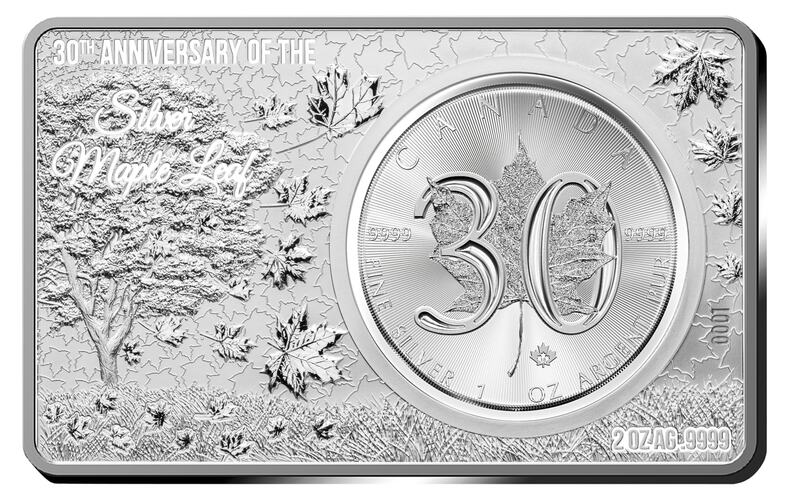 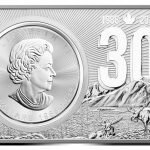 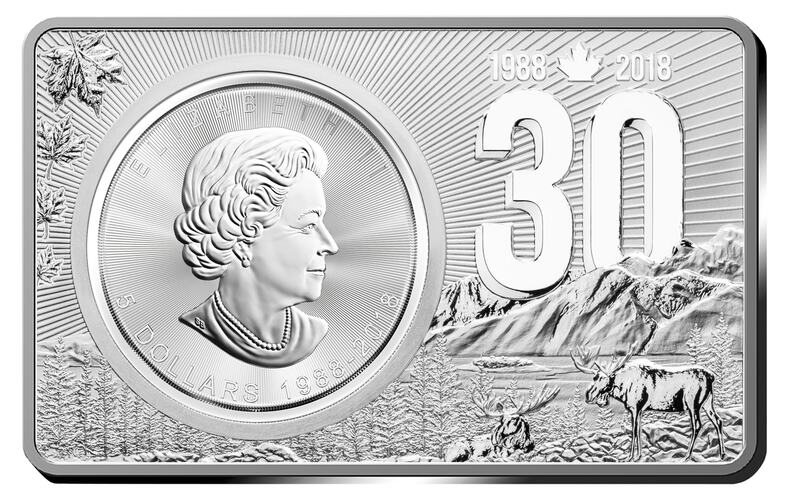 This unique set commemorates the 30th Anniversary of the Canadian Silver Maple Leaf. Premiere: The “World Most Famous Bullion Coin Bar Series” for the first time in Ag .9999! 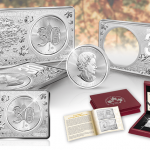 The design of the coin is beautifully continued on the coin bar and makes it a desirable set. 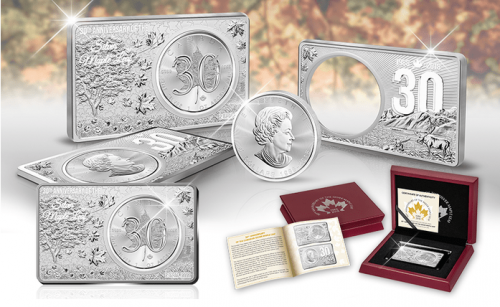 An individual numbering on each Premium Silver bar guarantees the authenticity and the strict limitation of worldwide only 5000 sets.